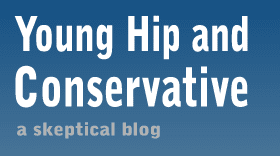 Young, Hip and Conservative: a skeptical blog: Which one is not in the spirit of free speech? An interesting story concerning free speech from public figures came out this week that reminded me of my posts on platform yanking, the idea of combating speech one disagrees with by removing the speakers platform, instead of by using more speech. This is not outright censorship and any systematic manner of blocking platform yanking would violate free speech rights. Instead, I argue platform yanking is not in the spirit of free speech, just as voting to switch to a dictatorship is not in the spirit of democracy. 1) Baltimore Ravens linebacker Brendon Ayanbadejo donated two tickets to the season opener to a raffle to raise money for gay marriage legalization and made his support public. 2) Democratic elected official Emmett C. Burns, Jr. didn't like what Ayanbadejo had to say and wrote a letter to the owner of the Ravens requesting he thwart Ayanbadejo from using his celebrity status to promote gay marriage legalization. 3)Minnesota Vikings punter Chris Kluwe didn't like what Burns had to say and wrote a critical letter that was printed online. People, one of these things is not like the others. I don't think I could craft a better example to defend my hard-sell idea of platform yanking. Look at the cast of characters: Ayanbadejo was just another guy standing up for what he believes in. Kluwe was too and it makes no difference that his letter was vulgar. Burns, on the other hand, sweet lord. With free speech, if he thinks a player is saying something wrong he has every right to ask a third party to take away the target's ability to communicate his ideas. However, in doing so he reveals contempt for the free exchange of ideas. His request was not in the spirit of free speech, even if it's not a technical violation. Such requests are no different than threatening a boycott on a talk show host's sponsors, as was the original example of platform yanking. To argue otherwise is like saying Ayanbadejo, Kluwe and Burns are all equal in free speech purity. The Buckley quote at the side of my blog - “I would hope that we emancipate ourselves from the superstition that that which is legal is necessarily honorable…" - fits neatly here. Burns doesn't abuse the power of government to censor anyone, thankfully, but it doesn't mean his actions are honorable or reputable. Exactly. On par with voting for Jesse Jackson. Obviously it's number one! That's hate speech which should be wicked illegal!